A great group, a beautiful day, a memory that will last lifetimes. 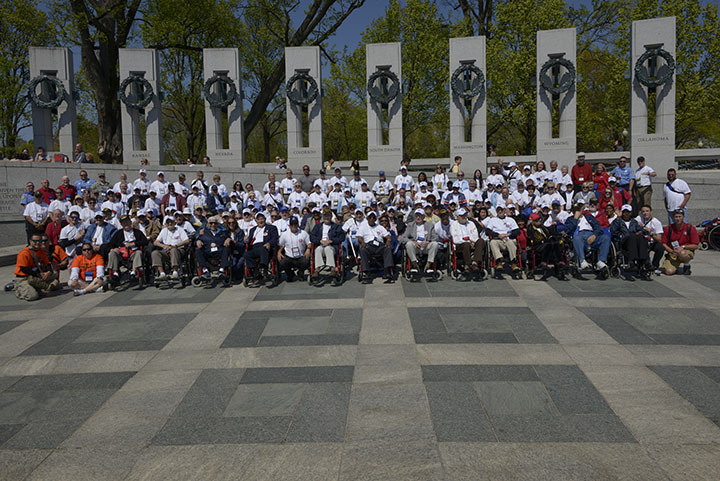 The Central Florida Honor Flight with 162 souls traveled to Washington for a day of sightseeing and celebration of the lives of 74 veterans. Accompanied by their guardians and the Honor Flight Staff with ages ranging from 17 to 99, this jolly band of brothers and sisters flew their chartered Airbus 320 to the Capital leaving at 6:00 AM and arriving with pomp and ceremony. The day was capped off with the welcome home by hundreds of well wishers at the Sanford Airport around 10:30 PM. If you have pictures you’d like to share, be sure to upload them at this LINK TO THE TRIP ALBUM. The photo staff will review them and post them within a few days of uploading. Words can’t describe the emotions we experienced…words can’t express the thanks that go to all the volunteers and donators that made this trip possible. THANKYOU for a memory that will never be forgotten. Sometimes there are not enough words to describe an experience. This is one of those times. Our trip and day of visiting our nations capitol’s monuments and memorials was more than I imagined. The Central Florida Honor Flight staff and volunteers went out of their way to take care of us. First class! People everywhere acknowledged and thanked us. Meeting other veterans and hearing their stories was humbling. When I thought the day of surprises was over I was again taken back and overwhelmed with humility as we returned to the Sanford terminal. As my son and I came to the escalator and saw the crowd of welcoming supporters we were brought to tears. All I can say is thank you, all of you!